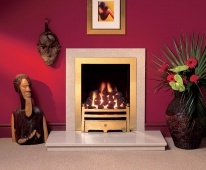 Open flame fires offer the most realistic alternative to the real thing. 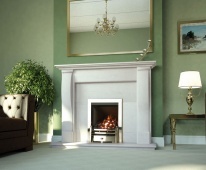 Our Range of "Open Fronted" Gas fires will look and feel just like the real thing ....... With Efficiency ratings as high as 74.4% and heat output ratings as high as 4.7kw You will be getting even better results than most open fire situations, but without the mess and inconveniance. 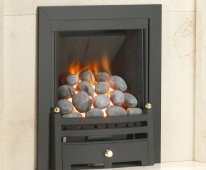 You can select either Manual, Top Slide, Top press Button or full Remote Control Systems to operate Your Fire. 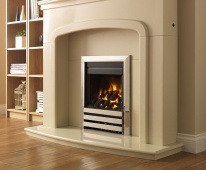 You can Tailor Your fire to suit Your own particular taste, with a Choice of 15 different style frets & Trim Facia options! 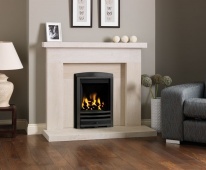 We have an extensive range of fires to suit Your Particular Situation - wether Youre Home has a Flue type system or real Chimney, We are sure to have something that will work for You, and remember ..... We can demonstrate the fire Live for you in the showroom. 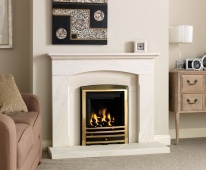 We have a wide range of Gas fires that do not require a flue or Chimney. 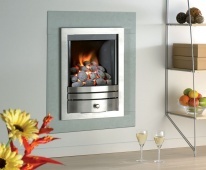 All you normally need is an outside wall and then one of our Balance Flue or Power Flue Fires should be suitable.